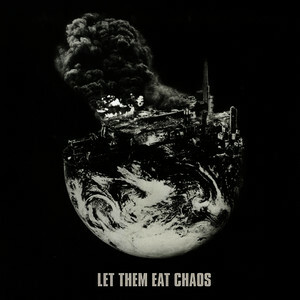 When I first heard a track from Let Them Eat Chaos on NPR's All Songs Considered, I appreciated the wry wordplay and drive behind Tempest's performance. A little later I heard a second song and thought, "Okay -- even though I don't usually listen to rap, I should give it a shot." But neither of those tracks could have prepared me for the onslaught of brilliance, creativity, and intensity that is Let Them Eat Chaos. I'm shocked it hasn't shown up on more year-end lists, but I assure that oversight won't be made on mine. The album opens with a stark spoken-word piece, one of the many talents Tempest is known for, that inexorably transforms into rap. The album does not slow down after that. It follows seven neighbors' sleepless nights on a London street in a "gentrifying" part of town. At 4:18 AM, they are simultaneously awake, running through their laundry list of worries. Tempest compassionately explores these characters' stories, even as their long-term goals are at times at odds with each other. They soon learn that they're not as isolated as they might have thought. Tempest's East London accent colors her commentary on personal fears of failure and the macro-level socio-political forces that impact these individual lives. The album is novelistic, simultaneously an intimate character study and condemnation of our social structure. In short, my kind of art. Even if this type of music isn't something you typically listen to (though I am increasingly), it behooves you to take a few minutes to listen to a truly remarkable collection of music. Thanks for writing! I'll check it out, though I like this one BECAUSE it's so dense!